J. is a young girl I met in West Africa back in 2009. She had been abandoned at a nearby orphanage by her grandparents, and throughout my five years spent in her country, I grew very close to J. Even after I left and returned stateside, I'd speak of her often. By donating, you are helping us give her a new beginning, and a chance at health, healing, and long life. You are helping us to give her a family, a home, and access to opportunities she would not have otherwise. 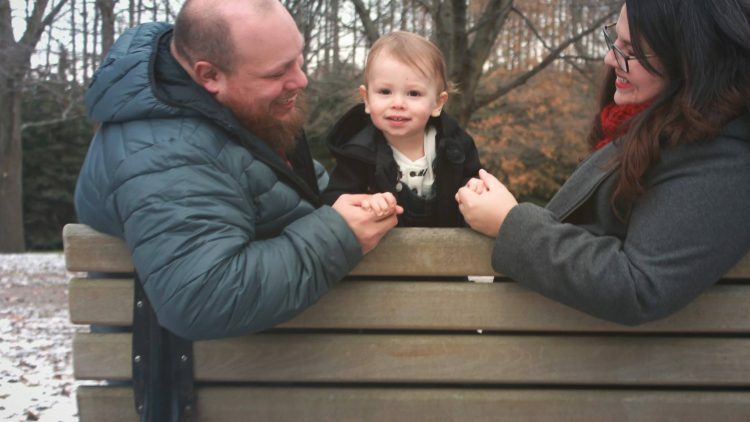 The fact of the matter is: hope for J. means giving her a forever-family made from love, where she will get properly diagnosed, treated as soon as possible, and have access to the life-long follow-up care she will need. Our hearts long to bring J. home, to have her as ours. It is often said that to bring up a child in this world, it takes a village. Thank you from the bottom of our hearts for becoming a part of ours! This morning we got our official approval notice from USCIS to adopt a child! This is HUGE; it's the last big item we were waiting on before sending our dossier to J's country for processing there. Having that letter in hands is such a relief, and our family is thrilled that we'll now be able to take the next step forward. Once the dossier is in J's country, it is our hope that things will move along quickly and, God willing, we'll be able to bring our girl home later this year! More good news is that we have raised all of the money for remaining agency fees, so now we are focusing on travel/visa costs, which is our next greatest need. Thank you all so very much for supporting our family on this journey. We cannot wait to tell our J girl how loved she is and how many people have helped to get her into our arms. If you haven't already seen the news on Facebook, we received our appointment notice with the USCIS--this is a big step! Our appointment is on January 26, and it is for us to get our biometrics taken. This is an important part of the process of getting our Application for Advance Processing of Orphan Petition approved. Once that approval notice comes, our dossier will be able to go to J's country for processing. So really, this is the last big step for us on this side of the ocean! We are $520 away from being able to pay the last of our agency fees, which is just incredible! After those fees are paid, the remaining costs are for visas and travel....(speaking of, anyone have some air miles they'd like to donate to a great cause? I'm serious. If you have some, let's talk!) As a reminder, all donations made through this campaign are tax-deductible. Our reports tell us that J is doing well as she waits for us. We found out someone from our agency is planning a trip to her country in the next month or so, which means we will be able to send along a few gifts and letters for our sweet girl. We are so thankful for all the love and support you have shown us. J has such a big village of people who love her and want to help us bring her home. Our family is forever indebted to you. We have such exciting news to share with you! Today we got word of a generous offline donation from amazing friends of ours, and after doing the math we realized: we are at 80% of our fundraising goal!! 🙌🏼 We are humbled and blown away by the support you have all shown us. Thank you! Our USCIS paperwork was mailed a week ago, so now we wait on them to give us a biometrics appointment and, ultimately, approve our application. We are compiling paperwork and the remaining funds needed, and then our dossier can get sent overseas for processing in J’s country! We will keep you updated on the next, exciting steps. Sending a bit of love your way...virtual hugs to all! Christmas Blessings to you all!!! Love you and can't wait to meet J! I wish this whole process could be fast forwarded to Juma's U.S.A. arrival. She will be a lucky little girl to join your beautiful family! May God's grace be poured out on you and J in this journey of faith.